You are at:Home»Festivals & Events»Rational team peak not once but three times! Rational team peak not once but three times! The Three Peaks Challenge, climbing Ben Nevis, Scafell Pike and Snowdon in 24 hours, sounds tough enough, but add in the navigating between the peaks, tiredness, cramp and sleeping and eating on-the-go then it becomes a massive challenge! 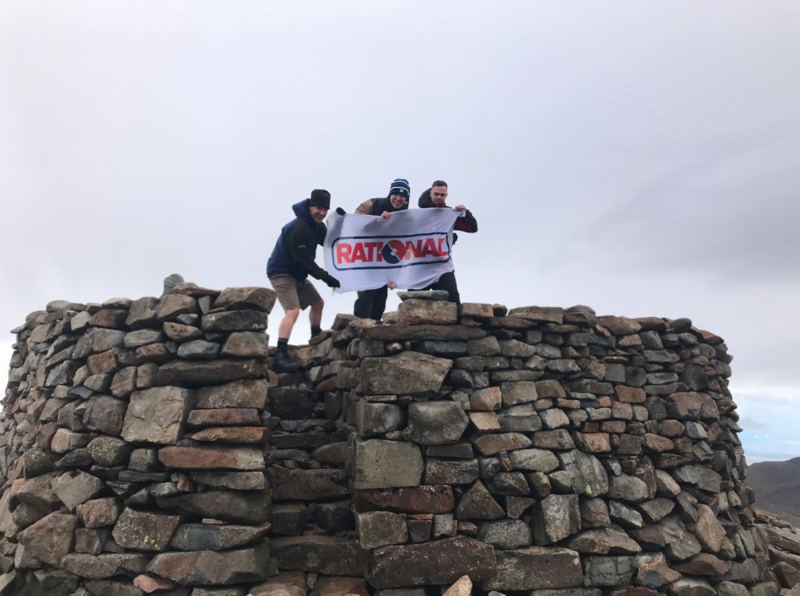 However, the guys from Rational were not daunted and on 28th July, nine intrepid team members took part in the challenge, seven climbers and two drivers. Amongst them were four top performers who achieved their goal within the time limit, Graham Kille (technical sales director), Tom Bentham (corporate chef), Will Matthews (customer service technician) and Lee Harding (key accounts director). Despite the glorious weather conditions of the past few weeks, the team experienced terrible weather, with rain (and lots of it) hail and high winds. They ploughed on and after climbing for their lives, completed the challenge with time to spare. Rational’s team were walking for the charity Hospitality Action and their endeavours have so far raised £1,282.00. Hospitality Action is the hospitality industry’s charity, helping past and present workers of all ages who are in crisis. It offers financial aid and information and also supports a youth guidance scheme educating on alcohol and drugs misuse.